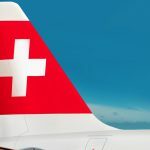 The managing director of french-speaking Switzerland for the airline Swiss, Lorenzo Stoll, admits to errors in their strategy to win back Geneva. “We should not hide it, we attempted to move too fast” he said. Adding “We clearly underestimated the challenges of taking on Easyjet”. Easyjet is by far the largest operator at Geneva airport. With 43.2% of the market it is well ahead of Swiss (15%) and British Airways (4.7%). In addition, more fuel efficient Bombardier C100 and C300 aircraft, that will go into service in April next year, will expand the airline’s offer, adding new exclusive destinations. Mr Stoll made assurances that Swiss would remain in Geneva. 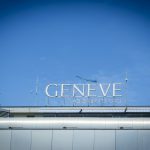 “Taking away planes or pulling out of Geneva is inconceivable.” With 25 million potential passengers by 2030, the airport is of “fundamental importance”. 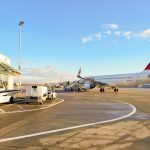 “On the other hand what could happen is a change in the company operating flights from the airport.” According to various media sources, Swiss’s parent, Lufthansa Group, was looking at the possibility of flying planes from its low cost airline, Eurowings, from Geneva. As a result, the Lufthansa subsidiary is at least a year behind its plan to breakeven in Geneva, which was expected by the end of 2016-early 2017. 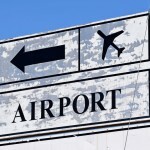 In order to meet this target, the airline is hoping for a load factor of 80%. Tomorrow Easyjet is running a promotion. The airline is offering a chance to win free flights on 2 and 23 September 2016. The flights are for weekends away. To win you need to go to Geneva airport at 4pm with a friend, your passports, cabin baggage and your smartphone with the Easyjet application on it and enter. The destinations, which are unknown, will be announced every 10 minutes as the winners are drawn. There will be draws every 10 minutes between 4pm and 5pm. The offer was posted on Easyjet’s Facebook page.